TBILISI, October 8. /TASS/. The Georgian Orthodox Church has refuted reports in some Ukrainian media alleging that it had recognized the bid for independence (autocephaly) by the Ukrainian Church, the Georgian Patriarchate said in a statement on Monday. "After a meeting between Ilia II, the Catholicos-Patriarch of All Georgia, and Chairman of Ukraine’s Verkhovna Rada (parliament) Andrei Parubiy some media reported that the Georgian Orthodox Church had allegedly supported autocephaly for the Ukrainian Church," the statement reads. "The information that the Georgian Orthodox Church allegedly recognized the Ukrainian Church’s autocephaly is not true." The statement noted, "The Georgian Orthodox Church’s stance on providing autocephaly to the Ukrainian Church has remained unchanged." "Until the Ecumenical Patriarchate and the Russian Orthodox Church make public their final positions based on the canonical church norms, the Georgian Patriarchate will refrain from assessments and comments on the issue," the document stressed. Parubiy earlier paid a working visit to Georgia where he took part in the Inter-Parliamentary Assembly of Moldova, Ukraine and Georgia held in Tbilisi on October 5-7. 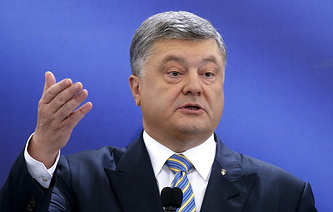 In April 2018, Ukrainian President Pyotr Poroshenko addressed Ecumenical Patriarch Bartholomew of Constantinople with a request to grant autocephaly to the Ukrainian Church. On April 22, the Holy and Sacred Synod of the Ecumenical Patriarchate considered his request and decided to discuss the issue with Local Orthodox Churches.